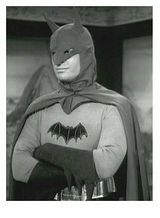 I got a cancellation from Entertainment Earth, too. Amazon cancelled my pre-order on there a long time ago. Amazon said they wouldn't be able to get it, but didn't say anything about the manufacturer cancelling it. Entertainment Earth just stated the manufacturer had said it wouldn't be made. Before I ordered from Entertainment Earth, I tried to pre-order from Big Bad Toy Store, and they had a message that their allotment was sold old. Weird, all the way around. 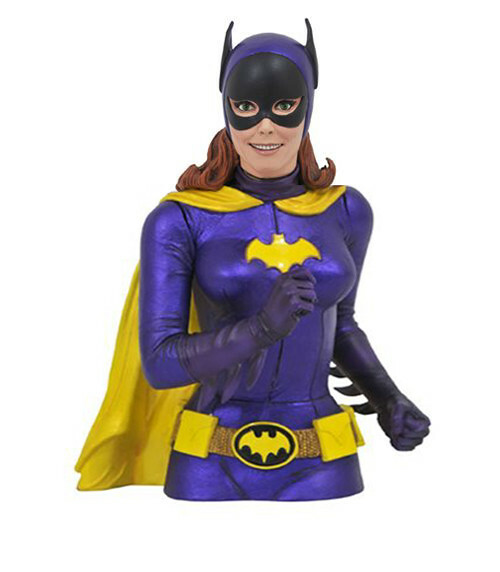 Since the Batgirl bank is no longer coming, I went looking for the Batgirl bust. 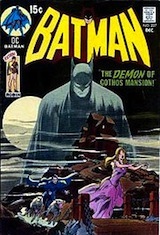 Yeah, I was holding out for Batgirl. I did get the comic book Nightwing money box, though. I agree, but I am happier. 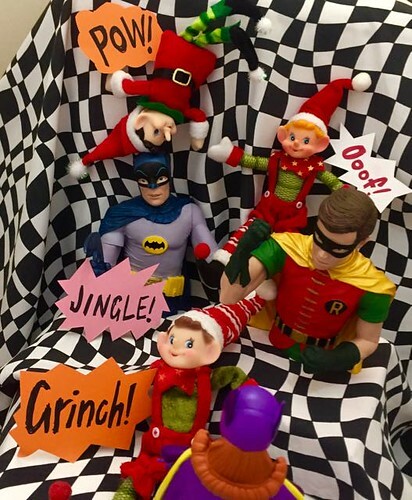 Actually, before the Batgirl money box was announced, I bought the "Vinyl Idolz" Batgirl to create a Christmas card, even though I originally dismissed that line. 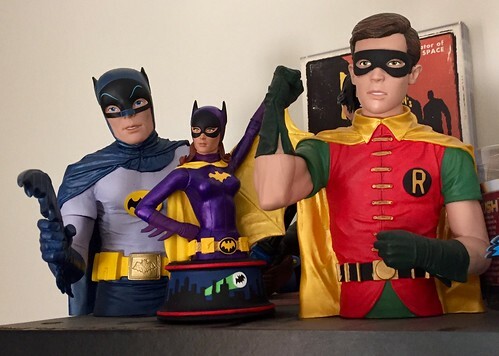 Then the Batgirl bank was cancelled and I found the Batman, Robin and Joker "Vinyl Idolz" as a discounted set!